Mannington is one of the major vinyl flooring manufacturers for both residential and commercial vinyl. 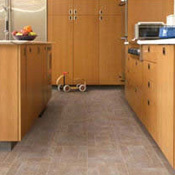 Mannington vinyl flooring offers you a quality floor with excellent durability. Once you have a Mannington vinyl floor in your home you will experience the rich, realistic textures of wood, stone, and ceramic. Bring life to your home with a Mannington vinyl floor. 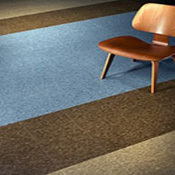 Mannington vinyl is offered for your home at wholesale vinyl prices to fit your budget. Browse our wide selection of Mannington vinyl styles, and feel confident that the floor in your in your home was made with care. It's still the preferred flooring wherever moisture is present, and with advancements like our patented NatureForm Optix™ process that creates unparalleled realism, resilient looks beautiful in any room. Guardian™ locks in the beauty of your floor, protecting it from rips, tears, and gouges; no other flooring is easier to maintain. Your Life. Your Style. Your Taste. A lot goes into designing a Mannington floor. They study home decor, fashion trends, color forecasts. but most importantly, they listen to their customers. Your life, your style, your taste. So whether you're just starting, or sending kids off to college, they know that every floor they design is one you'll love. Because of all the things that inspire us, you are by far the most important. Browse our exclusive resilient collections to find the floor that fits both your lifestyle and your budget. You'll find that our resilient floors offer the broadest range of style, color, and performance options that are sure to fit your needs and budget. As you move from the practical Home Opener® (Good) to the stylish Clean Getaway® (Better), to the realistic Solid Footing® (Best) floors, to the top-of-the line Style & Pace® (Premium) you'll notice these differences: More sophisticated styling. Better damage resistance and appearance retention. Stronger warranties. You make the choices that make sense for you. If our 100 designs and 300 colors don't convince you that we lead the industry in style, consider this: National retailers have named Mannington the leader in resilient floor styling and design for more than 15 years! Inspired by nature, our proprietary process, NatureForm Optix™, combines the beauty of nature with the latest advances in printing, texturing and finishing, creating unparalleled realism. With our exclusive urethane wearlayer systems, Mannington floors are easy to clean and resist stains better than most other floors. Simply sweep and damp mop from time to time to keep them looking new. Mannington resilient flooring features a resilient inner core so they are more comfortable to stand on than harder, unyielding floors. The inner core also acts like insulation, keeping floors quieter, warmer in winter, and cooler in summer. The construction and technology that goes in to your Mannington Floor enhances its beauty and high-performance. Before you select a floor, consider the product features that influence appearance, performance and maintenance. NatureForm Optix™ is a proprietary process that combines the beauty of nature with the latest advances in printing, texturing and finishing, creating unparalleled realism. NatureForm™ is a revolutionary patented embossing technology that recreates the most realistic ceramic, stone and wood visuals in resilient flooring. ScratchResist™ improves resistance to everyday household scratches that can make floors look old before their time. Guardian™ Protection is an enhanced performance construction that protects the beauty of your floor from rips, tears, gouges and permanent indentations. We guarantee 100% that your floors won't yellow from rubber-backed mats. Not now, not ever.